Is There a Link Between Caffeine and Emotional and Mental Health? Mental disorders are something that cannot be ignored due to a couple of factors, including their serious symptoms and prevalence in the USA these days. Millions of people in the US are affected by psychiatric disorders and mental illnesses, both children and adults. But do you know that another widespread phenomenon in the USA is coffee drinking? And that caffeine is actually considered a psychoactive drug since it can influence our psychiatric condition? With that being said, it is important to understand the correlation between coffee consumption and the symptoms of different mental health disorders. Coffee might not be safe for everyone and, at the same time, may help some patients with some of their symptoms. So, let’s take a closer look at this delicious beverage. We will explore how it is linked to the most common psychiatric disorders in the USA and how it affects different symptoms. Now, despite mood and emotion being two different notions, they are influenced by caffeine in a similar way. Because caffeine can increase our brain’s alertness, cognitive function, and attention, it is able to alter both our mood and emotions. And because this substance can so easily “manipulate” our mental state, it may also have a direct influence on our mental health issues. It can make us more anxious, nervous, or stressed, which obviously aren’t the most favorable mental states for some disorders. At the same time, coffee may boost the production of dopamine and serotonin, the hormones that reduce anxiety and stress levels. So, what’s important here is to understand that each case (and each mental health disorder) is different. And when combined with regular caffeine intake, each separate condition will have different consequences. That’s why it’s crucial to understand how coffee can affect certain disorders, such as anxiety, depression, autism, and other widespread mental health issues. And that’s exactly what we are going to learn in this guide today. When talking about mental health, we cannot omit the aspect of physical health. The way our body feels can actually influence our mind and emotional health. That’s why we’re often told about the benefits of exercising! Caffeine has an effect on our bodies too. It’s not a secret that many people cannot start their day without coffee and feel the physical need to get their caffeine fix in order to wake up “fully”. Research suggests that our diet can influence our brain, its neurological functions, and mental health a lot. And because caffeine is such a powerful stimulant widely used as part of many people’s diet, it is being actively studied these days. Caffeine is a stimulant that affects the central nervous system, meaning it is able to make the brain alert. This, consequently, makes us feel less tired and more awake. Caffeine blocks the adenosine molecules in the brain (which helps us feel less tired) and promotes the dopamine production (which makes us more energetic and helps boost our mood). Some studies link regular coffee consumption to the decreasing risks of developing such diseases as Alzheimer’s and dementia. 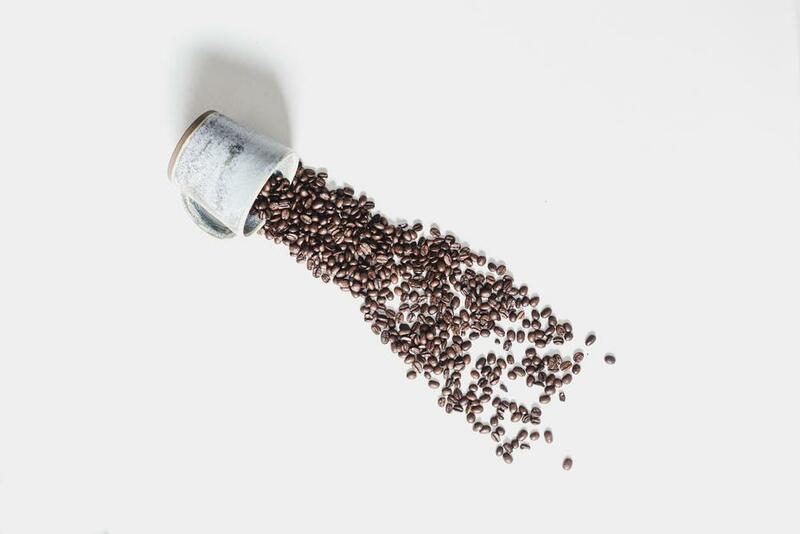 Caffeine can help with migraines or tension headaches. How? By reducing the swelling in the brain’s blood vessels (which cause migraines in the first place). Coffee temporarily suppresses appetite, which is quite helpful during the weight loss process. It increases alertness and attention, which may help us deal with our chores, work tasks, studies, etc. Caffeine improves physical performance too. It is able to increase endurance. However, it is worth knowing that such an effect is always temporary and short-term. Coffee is known to decrease the risk of developing certain types of cancer, including throat, mouth, skin, prostate, breast, and endometrial. Digestive problems. Caffeine has the ability to increase the amount of acid in your stomach. This, consequently, may cause an upset stomach or heartburn. Caffeine can cause your blood pressure to go up (temporarily). Even though this doesn’t last, it may be a problem for those who naturally have a bit higher pressure than normal. This happens because caffeine stimulates the release of adrenaline. Additionally, it blocks the hormones that naturally make your arteries widen. If you have irregular heart rhythms, too much coffee can make your heart work harder and even cause tachycardia. Because caffeine has the ability to interfere with the way your body absorbs calcium, too much coffee can contribute to osteoporosis (bone thinning). Since caffeine is a stimulant, it can cause disrupted (or delayed) sleep cycles and even insomnia (when consumed regularly and in large quantities). Obviously, the list of both benefits and drawbacks of consuming caffeine can go on since it has different effects on different people. However, it is clear that too much coffee is almost never good for you. But how do you know when it’s too much? Now that you know what effects caffeine may have on both your body and mental state, you may be wondering how to figure out whether you are consuming too much of it. Here’s what you should know: There isn’t one certain answer to this question simply because we (and our bodies) are different. However, the general numbers may help you figure out how much coffee you should or shouldn’t drink. Now, it is known that taking up to 400-450 milligrams of caffeine is safe for the majority of adults. That’s the amount of caffeine of 4 brewed coffee cups (or 4 small espresso shots), or, for example, 10 cans of cola (since coffee isn’t the only source of caffeine). For healthy people, drinking coffee can actually lower the risks of being diagnosed with Parkinson’s disease, Alzheimer’s, depression, and various cognitive disorders. guarana berries (not that widespread, but maybe you love unusual berries). Of course, this doesn’t mean that you have to stop eating chocolate or drink green tea. It’s just a guide, which hopefully will help you control how much caffeine you consume. And remember: Different products have different amounts of this substance, so it’s always better to check before ridding yourself of the right to enjoy your favorite chocolate ice-cream. You probably already know that mental health issues reveal themselves in a wide spectrum of symptoms in different people. Some patients go through life bearing those symptoms a bit easier, others struggle every day. And because mental issues are so different, when combined with coffee drinking, they show different results too. Let’s try to understand how coffee may influence the most prevalent mental disorders by taking a closer look at each of them. Yes, sometimes when we are feeling down, we can say “Oh, I’ve been feeling really depressed lately.” However, we shouldn’t confuse feeling down with clinical depression. Clinical depression reveals itself in a prolonged feeling of sadness and low mood overall. It lasts for a long time and can affect a patient’s everyday life. There are different extents to depression, starting from the mildest symptoms (when you just feel sad all the time) to more severe cases (which can even lead to suicide attempts). Some researchers believe that depression is caused by a chemical imbalance in the brain, while other scientists note that this is an oversimplification. Depression can be caused by numerous factors and series of events, not just one single factor. Another thing that makes this health condition so dangerous is its prevalence and versatility. 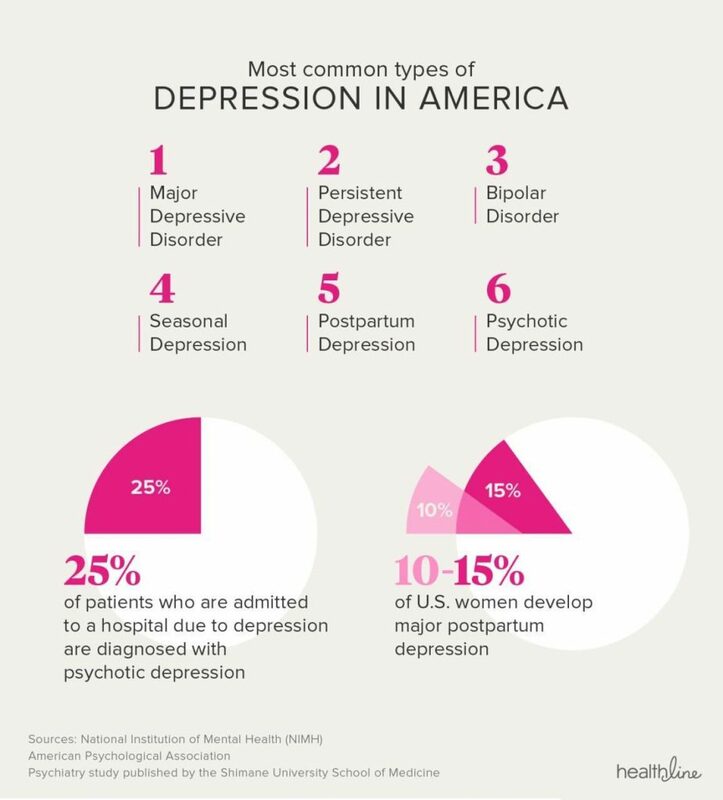 While depression affects nearly 1 in 5 adults in America, there are also different types and subcategories of it. feeling fatigue and moving or talking slower than usual. Caffeine boosts the production of dopamine and serotonin. Low levels of these neurotransmitters can be the causes of depression, so when their production is increased (thanks to coffee), this can actually make the depression symptoms milder. Because caffeine is a stimulant, it tends to make people more alert, energized, and even motivated. This can come in handy if one of your depression symptoms is fatigue and low energy levels. Because coffee has anti-inflammatory properties (thanks to its chemical compounds and acids), it can reduce the brain inflammation, which is often linked to depression. Healthy amounts of caffeine can help with concentration, attention, mood, and even the feeling of contentment. If your depression is accompanied by anxiety (which is a common case), avoid drinking coffee or other beverages that have caffeine in them (or at least reduce the amount to the minimum). You see, caffeine can also promote the secretion of adrenalin, which increases our stress levels and can enhance the anxiety symptoms. If you experience sleep issues, minimize the intake of caffeine on a daily basis and avoid drinking coffee 4-6 hours prior to going to bed. If you are taking antidepressants or other medication, it is important to talk to your doctor about their compatibility with coffee. Some antidepressants contain caffeine already, so combining them with some extra cups of coffee might not be a good idea. And, of course, try to stick to the healthy amount of caffeine (up to 400 mg a day). accumulating things in large amounts, even junk. If you are sensitive to caffeine, you should avoid it since it may actually enhance your anxiety. If you are not sensitive to caffeine, control its intake and try to stay within the healthy limits (up to 400 mg a day). If you are used to drinking coffee regularly and then got diagnosed with OCD, reduce the caffeine intake gradually. Stopping to drink coffee abruptly can actually cause certain coffee withdrawal symptoms, such as headaches and inability to concentrate. 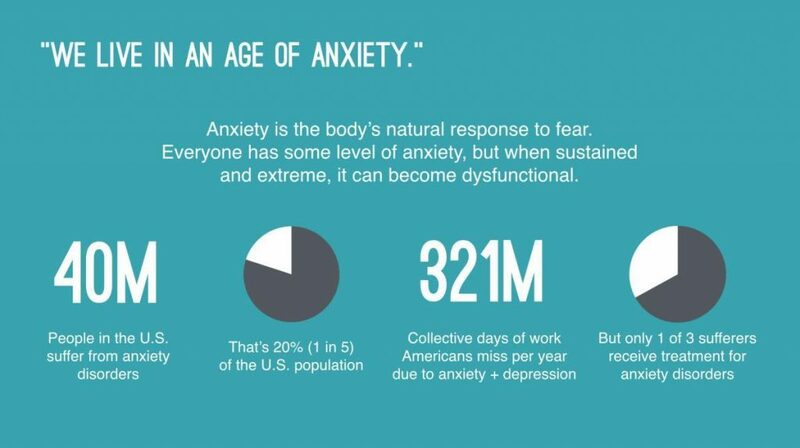 Generally, anxiety is a feeling of uneasiness, worry, or fear. However, when it comes to anxiety disorder, there are different types and subcategories. For instance, panic disorder, social anxiety, phobias, post-traumatic stress disorder, etc. When talking about anxiety, people usually refer to generalized anxiety disorder. This condition is widespread across the nation and can affect both children and adults. Now, when it comes to the effect coffee has on anxiety patients, there’s one important thing you need to know. In many cases, people with anxiety are more sensitive to caffeine. Therefore, it has a stronger effect on them. It may enhance the anxiety symptoms, both physical and emotional. Too much coffee may cause people with anxiety to become more irritable, restless, worried, sleepless, etc. It can also increase one’s heart rate, cause dizziness, or trigger twitching. Interestingly enough, coffee may also reduce some anxiety symptoms. For instance, it may boost concentration and focus, which are often low in people suffering from anxiety disorder. Here’s the thing: The number of negative effects of coffee on people with anxiety is much larger than the number of positive ones. Therefore, it’s better to avoid this beverage (and other caffeine-containing products) when dealing with such a mental health condition. Chances are, the lower your coffee consumption is, the better you will feel. If you think that you absolutely cannot live without coffee, try decreasing its consumption gradually. You can also go with decaf beverages that contain much less caffeine than regular coffee. showing little interest in interacting with people. Because caffeine is able to cause psychoactive effects, it is actually considered a psychoactive drug. Caffeine addiction is a real thing too. However, we do not perceive it as a drug. Maybe because it is a legal substance. Or maybe because it’s everywhere around us and is a component of the most harmless (at first glance) things: coffee, tea, chocolate, hot cocoa, etc. Unfortunately, there isn’t enough research concerning the intake of caffeine and its influence on autism patients. Additionally, because autism is a very versatile disorder, it is hard to come to a certain conclusion. Each patient experiences different symptoms and is influenced by coffee in a different way. Here’s the deal, though: Because caffeine is a stimulant, it can increase anxiety and the feeling of uneasiness, which often accompany autism. Therefore, doctors recommend abstaining from drinking coffee. This is simply the safest scenario. And to be honest, it’s better to substitute coffee with tea (which contains two times less caffeine than coffee) than to risk inducing your symptoms. If you are sensitive to coffee and feel like it makes you more anxious (or increases your heart rate, or makes your hands shake), it’s better to stay away from this beverage. Try to stay within the healthy limits (up to 4 cups a day). If you are already tolerant to high amounts of coffee, it’s still a better idea to decrease the consumption gradually and maybe sometimes substitute this beverage with tea. If you are taking antidepressants or any other prescription drugs, ask your doctor if it’s okay for you to combine those with caffeine. If you are suffering from insomnia or any other sleep issues, it’s best to give up drinking coffee (or at least drink it at the beginning of the day only). 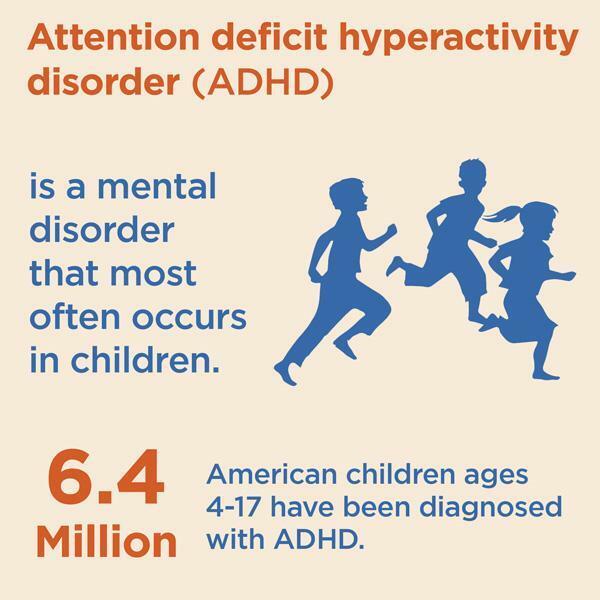 ADHD is mostly found in kids that are too active or find it hard to focus their attention on something. Yet, some adults deal with this condition too. In fact, around 4-5% of the American adult population is diagnosed with this condition. In some cases, this condition doesn’t reveal itself in the childhood and the symptoms start to appear when a person grows up. When it comes to caffeine and ADHD, the results of this combination will be different depending on the amount of caffeine you take. If we are talking about a healthy amount (up to 4 cups), it can actually reduce some of the ADHD symptoms (like inattention and impulsivity). Caffeine is also able to increase the dopamine levels, which, again, helps with the attention span, mood swings, anxiety, etc. Having too much coffee regularly can be associated with some very unpleasant symptoms. For instance, high caffeine doses can cause anxiety, increased blood pressure (temporarily), headaches, nausea, sleeplessness, restlessness, etc. Each of these symptoms puts your body into a “fight or flight” state, which is also a common sign of many health conditions. Thus, drinking coffee can make things worse. However, when we are talking about the excessive coffee consumption, the results aren’t that satisfying. Too much coffee (5 cups and more) can cause insomnia, headaches, irritability, all of which may influence (and aggravate) the ADHD symptoms in adults. If you have ADHD, try to stay within the limits. Coffee is your friend as long as you stick to healthy amounts of it. Bipolar disorder used to be called manic depression because of the mood swings (manias and depressions) it involves. This condition affects one’s mood and makes a person experience severe swings from one extreme to another. Bipolar disorder is diagnosed in almost 3% of adults in the US. It has an episodic character, which means the symptoms will depend on the current mood you’re experiencing. Mania symptoms include talking very fast, feeling extremely happy and excited, being full of energy, feeling self-important, not eating, not feeling like sleeping, etc. However, these factors change and turn into depression, which involves such symptoms as feeling sad and hopeless, low energy, inability to concentrate, insomnia, self-doubt, loss of interest, feeling pessimistic, being delusional, etc. Now, when it comes to caffeine, people with bipolar disorder should be very careful. You see, as caffeine is a stimulant, it may actually induce your manias and make you more anxious and jittery. For many people, it is hard to go back to their calm self even after one cup of coffee. It may take weeks. Additionally, caffeine can affect your sleep, and sleep deprivation is one of the strongest triggers to cause mood swings and bipolar manias. Drinking coffee is also linked to lower risks of developing certain types of cancer, including prostate, liver, skin, and endometrial cancer. So, what do you do if you love coffee but suffer from bipolar disorder? Simply buy decaf. Decaf coffee contains a minimal amount of caffeine, which doesn’t seem to affect the majority of bipolar disorder patients. If you are used to taking high doses of caffeine, decrease them gradually. The less coffee you drink, the milder your symptoms will be. https://www.mind.org.uk/information-support/types-of-mental-health-problems/depression/#.W_U6hOgzZPY – Mental health information and support. https://medlineplus.gov/obsessivecompulsivedisorder.html – More about Obsessive-Compulsive Disorder: diagnosis, treatments, specifics, etc. (also in Spanish). https://anxiety.jeanhailes.org.au/ – Anxiety help for women at different life stages. http://www.moodjuice.scot.nhs.uk/anxiety.asp – Anxiety self-help guide. https://www.ninds.nih.gov/Disorders/Patient-Caregiver-Education/Fact-Sheets/Autism-Spectrum-Disorder-Fact-Sheet – Autism Spectrum Disorder information guide: signs, causes, related disorders, symptoms, life with autism, etc. https://sardaa.org/ – Schizophrenia and Related Disorders Alliance of America. https://add.org/adhd-facts/ – ADHD information sheet by the Attention Deficit Disorder Association. https://www.blackdoginstitute.org.au/clinical-resources/bipolar-disorder – Bipolar Disorder informational guide and self-test. https://curiosity.com/topics/caffeine-withdrawal-is-realand-now-its-technically-a-mental-disorder-curiosity/ – Caffeine withdrawal symptoms and signs. https://www.liebertpub.com/doi/full/10.1089/jcr.2016.0023 – Study by Brian J. Distelberg, Andrea Staack, K’dee D. Elsen, and Joan Sabaté on the effects of caffeine on sleep quality, mood, and the overall quality of life (from the perspective of health-related issues).